Exciting new release from spintowel! Big news! Our friends at spintowel have launched a new line in four gorgeous colors! 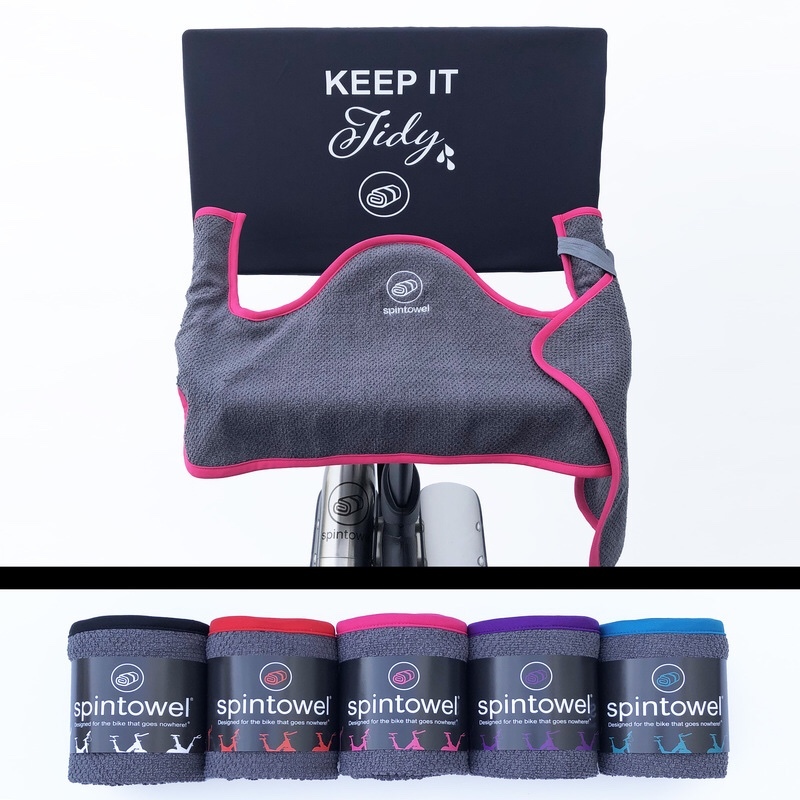 If you are not familiar, these towels are custom fit to the Peloton handlebars to protect your bike and keep you focused on your ride. In addition to the top five reasons to love a spintowel, here are five more reasons to keep it tidy in COLOR. Color code your family members so you don’t get your towels mixed up. Poppy Red for Dad, Grape for Mom, etc. Coordinate with your home gym decor. You know what would look really nice with that neon pink “P” on your wall? A Hot Pink spintowel on your bike! Match your outfit. Admit it, your #magicpants want a #magictowel! Rotate each color for different days of the week so you know which one needs to go to the laundry next. Do it for the Peloton fam! Co-founders Dave and Courtney are long time riders and community members. They run their own business and towels are made in Brooklyn, NY USA!